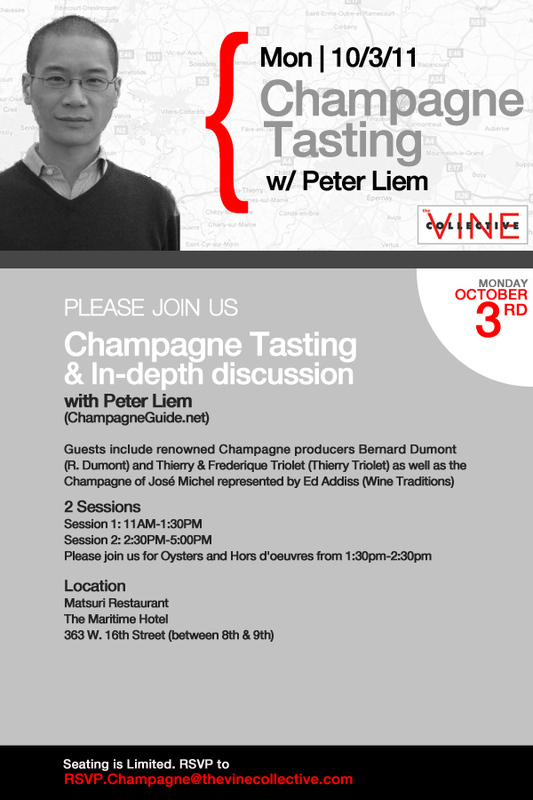 One of the world’s leading authorities on Champagne, Peter Liem, is conducting a tasting in New York, at Matsuri Restaurant, The Maritime Hotel, that will involve a discussion of the role of terroir in Champagne, illustrated by a tasting of three producers from very different areas: José Michel in the Coteaux Sud d’Epernay, Thierry Triolet in the Sézanne, and R. Dumont in the Aube. 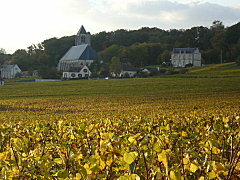 There are two (identical) sessions, one at 11am and the other at 2:30, and both involve 14 wines each. RSVPs are required, to the e-mail address on the invitation below. This is for trade only, so sommeliers, restaurateurs and chefs, this is excellent opportunity to absorb Peter’s thorough knowledge on the subject further illustrated through three superb artisan producers.